Although this album is issued under Harry Allen’s name the group is usually fronted by vocalist and guitarist Joyce who is present on three tracks. Harry Allen would appear to have an affinity with Brazilian music and Jobim’s compositions in particular having already recorded with an all star Brazilian band on the Arbors label. There are talented Brazilian composers but it is Antonio Carlos Jobim who is the most outstanding one of them all and no collection of Brazili9an music is complete without a handful of his compositions. The album opens with “Dindi” one of Jobim’s best compositions and Harry Allen gives a sensitive readings bringing out the beauty of the tune. 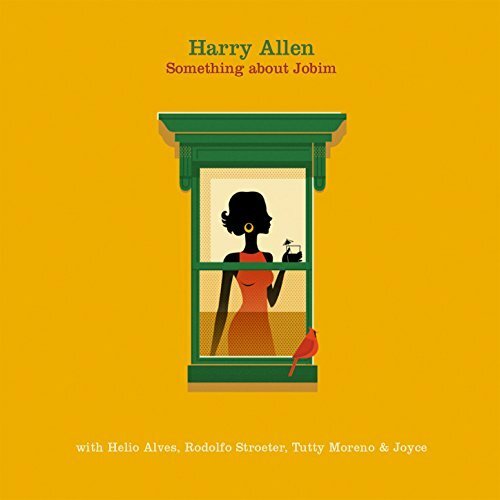 “Sue Ann” is a beautiful ballad and Harry Allen’s tender brings out the best of it’s hidden depths, “Falando De Amor” is another of Jobim’s compositions very much in the same field and includes a piano solo which supports Harry Allen’s delicate touch. The vocals by Joyce are very much in the Brazilian tradition and you either love this type of singing or have little feeling for it. Don’t purchase this album expecting hard swinging music or you will be disappointed but the whole album is treated with great taste and a feel for Brazilian music. The backing trio pull the whole thing together with their great understanding of this style of music.